18k Gold Jewelry and Other Fine Metals: Which is Right for Your Ring? One of the world's most perfect diamonds now holds the record as the most expensive. Formerly known as "The Pink Star," the 59.60 carat, fancy vivid pink stone was sold to Isaac Wolf who renamed it "Pink Dream." Pink diamonds are one of the most popular of the colored diamonds, and are often included in high-end jewelry such as a pink eternity band. The oval-cut Pink Dream went on Sotheby's auction block on November 13, 2013 in Geneva, Switzerland. It was purchased by New York-based diamond cutter Isaac Wolf for $83 million, earning Pink Dream the distinction of the most expensive gemstone in the world. Pink Dream was the first gem offered during the auction, which brought in $199 million overall. The valuable colored diamond was mined by the DeBeers Company in Africa, and originally purchased by Steinmetz Diamonds, who named it the "Steinmetz Pink." After cutting and polishing the stone for two years, it was exhibited in Monaco in 2003 and included in the "Splendor of Diamonds" exhibit at the Smithsonian Institution held in Washington, D.C. It was renamed "The Pink Star" when it was sold to a private buyer in 2007. It is the largest, internally-flawless, fancy vivid pink diamond the Gemological Institute of America has ever graded. The quality of most pink diamonds included in jewelry, for example a pink eternity band, is less than that of the Pink Dream, and so is the price. Although most people are familiar with white diamonds, pink diamonds are some of the world's most famous. Princess Elizabeth, later Queen Elizabeth II, received a pink diamond called Williamson on the occasion of her marriage. The Graff Pink is another large pink diamond that sold at auction in 2010 for $45.6 million. Pink diamonds have been popular for jewelry since they were first discovered in India hundreds of years ago. Pink is considered the color of love, so they are often included in pieces like a pink eternity band. 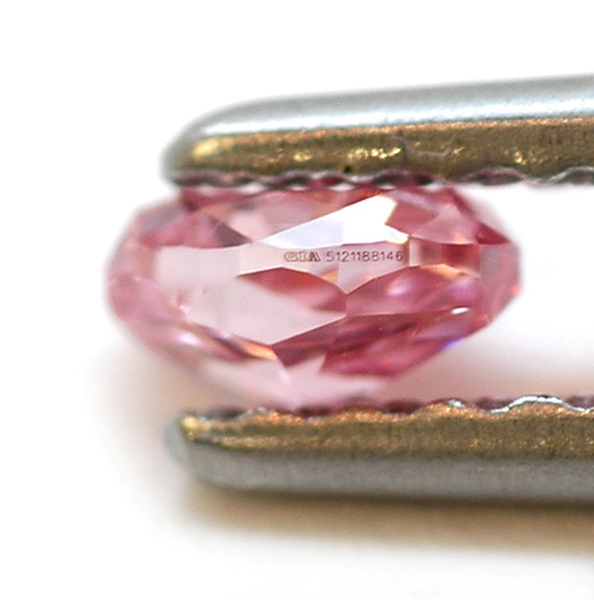 Pink diamonds are what are known as Type II diamonds. Their color comes from plastic deformation, the inclusion of impurities or structural deformities, which causes the stone to look pink. However, pink is a very popular color for jewelry, and pieces like the pink eternity band are much sought after for Valentine's Day, anniversary and birthday gifts. The in-house artisans at Juno Jewelry can design a custom pink eternity band or other special piece. We use stones that are certified natural and conflict-free, and metals that are sustainably mined to create beautiful expressions of your eternal love. If you already own a pink or other colored diamond, we can reset it into one of our unique designs. Contact Juno Jewelry for more information about how you can own beautiful, pink diamond jewelry.